Rockin’ Michael G. Munz asked me to write about the behind-the-scenes of filmmaking, and from personal experience, I must say it’s both amazing and terrifying. Last June, I directed and produced the crime thriller CASE #5930, written and co-produced by my friend and active duty police officer, Paul J. Williams. We’d been planning the thirty-minute short from the summer of 2013, and thought we had everything squared away: actors, crew, locations, costumes, props, and food. The good news is that we really were ready for our four-day shoot. However, every film you watch, whether it’s “no budget” or a Hollywood blockbuster, whether it’s amazing or the worst piece of garbage you’ve ever seen, is a miracle. As a writer, I may have to sweat it out on the keyboard, hone my craft, and conduct substantial research to bring a story to light, but with a film, once again depending on budget, it will take a small group of people to hundreds of souls to make it happen. This means every day is pre-loaded with pressure to get it done before something goes wrong. But don’t think that when the cameras roll (unless you use digital), that the production is safe. Filming of Furious 7 was put on hold due to the death of Paul Walker. Dark Blood, which came to a screeching halt in 1993 after River Phoenix over-dosed, was finally released for posterity in 2012, though the film is incomplete. Extra scenes with a body-double for Brandon Lee were used to fill in the gaps of The Crow after Lee was accidentally shot and killed on set. And when Heath Ledger passed away while making Terry Gilliam’s The Imaginarium of Dr. Parnassus, production ceased until the script could be rewritten to accommodate existing footage of Ledger. Johnny Depp, Jude Law, and Colin Farrell filled in for Ledger in an intriguing way, and they donated the money they would have earned to the fallen star’s daughter, Mathilda. But this wasn’t the only filmmaking immersion into mayhem for Gilliam. 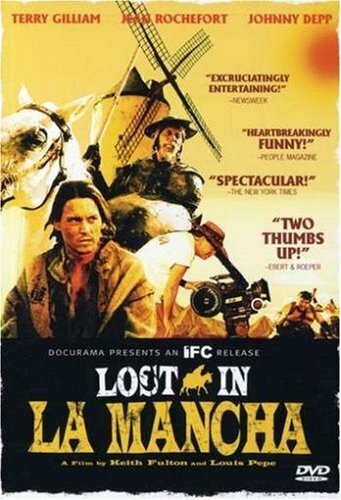 If you want a double-header of despair with Jodorowsky’s Dune, then indulge in Lost in La Mancha first. 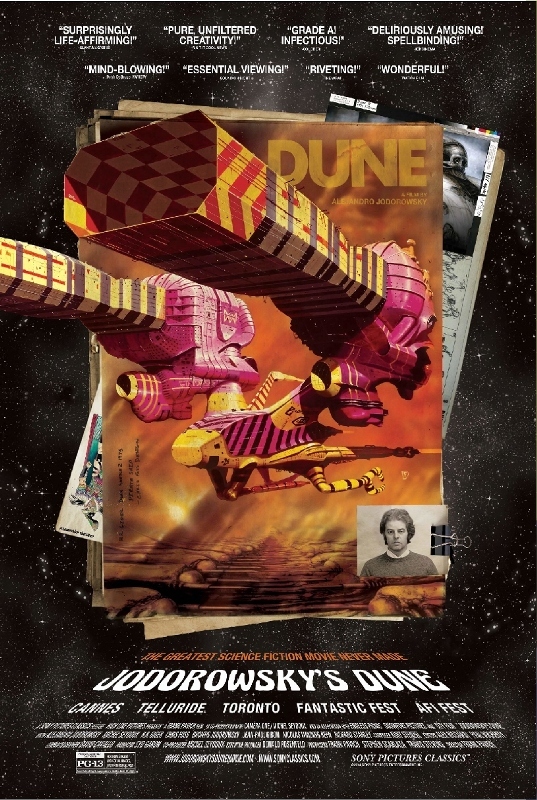 This 2002 documentary uses a ton of behind the scenes footage to chronicle Gilliam’s biggest catastrophe while shooting The Man Who Killed Don Quixote. On the set of CASE #5930, I thought of all of this. Every damned disaster. Unlike Hollywood, Bollywood, or large independent studios, my Crash Palace Productions couldn’t financially afford to take a hit. After all, the movie only came together due to a successful Kickstarter campaign, and Paul and I didn’t want to let anyone down. Thankfully, the crew was professional, the actors were prepared, the weather co-operated for the most part (it was four days of outdoor shooting), and nothing went awry. Make certain the script is awesome. Pre-production: Plan for every little thing you can think of. Locations: Get them squared away as soon as possible or nothing will happen. Insurance: If you’re shooting on county/state/federal property, you will need it, and it can kill your budget. Casting: Never choose an actor that looks the part, always choose the actor that acts the best – and never hire friends or family unless they have proven acting skills. Crew: Professionals only – and this includes qualified film students. Cast/Crew: Make certain everyone plays well together. If there’s a bad apple, fire that person and move forward. Food: To put a twist on the old Napoleon comment, a production moves on its stomach. Food became a big expense, but I didn’t care. I wanted everyone to know that they were respected. And guess what? Everyone had a great time on set and delivered. Finally: Be nice to everyone you run into because they could have the right advice or the right thing you need to make your production a reality. Yes, when you rent that DVD or kick back in a theatre, you are watching a miracle. As an audience member, you may not know how the whole film almost fell apart, or how it really came together, but you are seeing the end result, for better or worse. Collaborative art may be the most difficult to pull off because ego is involved (think of all your favorite bands that imploded due to “creative differences”), but when it works, man, can it rock our world. But keep this in mind: timing may indeed be everything. After all, if production of Fight Club had been delayed for any reason, we’d never see it made in a post-9/11 world. So the next time you hear that a movie is in production and you can’t wait to see it, you’d better hold your breath and say a little prayer. They may just need a miracle to make it happen. An award winning screenwriter, filmmaker, and educator, William D. Prystauk began writing stories in first grade when he still had hair. His short film, CASE #5930 is in post-production, and he hopes to direct David McDonald’s horror feature, VINDICTA, next year. 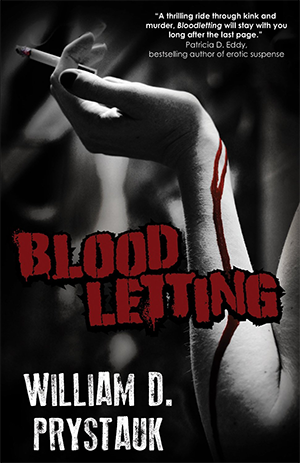 William’s hard-boiled crime thriller, BLOODLETTING, is available in paperback and Kindle from Amazon. 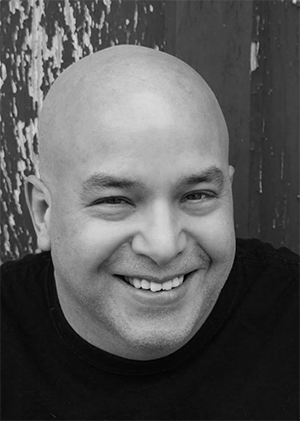 An active member of the New Jersey Screenwriter’s Group, Bill teaches English as an assistant professor at Kutztown University of Pennsylvania. When not writing, he’s busy co-hosting The Last Knock horror podcast on iTunes. Bill enjoys life with his wife, author and editor Ally Bishop, and their two puppies, Suki and Karma. He’s proud of his alternative music and horror movie collections, and the fact that he never leaves any sushi behind. You can find more about William at www.crashpalaceproductions.com, and connect with him on Facebook and Twitter! Learn more about Bloodletting, a hard-boiled crime thriller on Goodreads, Amazon, and Barnes & Noble. Michael, thanks for allowing us to bask in the glow that is William D. Prystauk. As you know, he’s phenomenal in many ways. I’ve known Bill for only a short time. I’ve found his insights with respect to writing, films, movies, and life, in general, are amazing. His pieces like this one are as good as it gets, and that cliche is both apropos and factual. He instructs in a casual style, as he serves the reader with juicy, and at times, spicy chunks of valuable information. William D. Prystauk dazzles an audience, and I’m proud to be a fan. Hi Ron – You’re very welcome, and I’m honored to have had him guest here! I’ve only known him a short time myself, having met him through our publisher, but I’ve enjoyed his insight, enthusiasm, and creativity. Thanks for commenting! Michael, I appreciate your response to my comments. You are a special person to take the time to answer those commenting on your pieces and contributors. Bill has been a guest on my radio show, and he ‘s incredible. 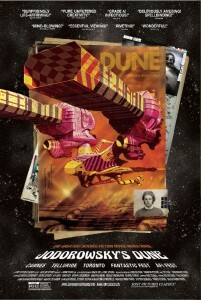 We’ll do more spots together in the future, as well as appear in an upcoming anthology of fiction. He has enriched my life through his friendship, wit, humor and amazing talents. Thanks again for responding and the fine piece with William D. Prystauk.